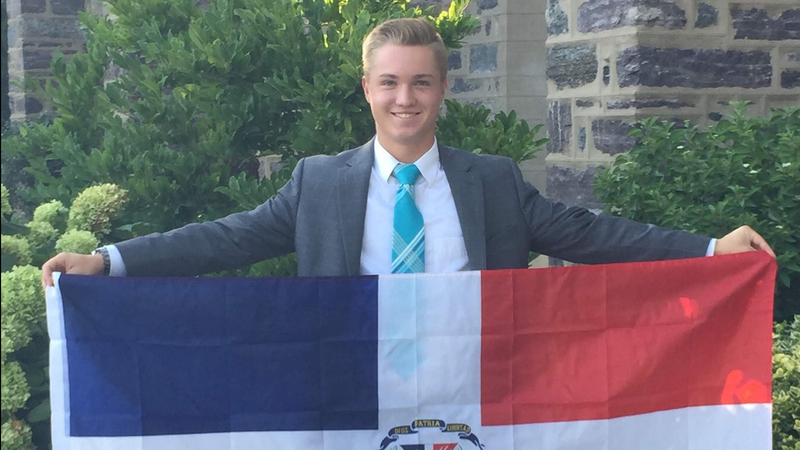 Elder Brennan Conrad while serving in the Dominican Republic, Santo Domingo East Mission. LOGAN — Funeral services have been arranged for Brennan Conrad. The 18-year-old man from Hyde Park died last week, while serving a full-time mission for The Church of Jesus Christ of Latter-day Saints. Conrad’s mother, Melanie D. Conrad, announced on Facebook that memorial services are planned for Monday, March 4 at 11:00 a.m. They will be held in the Logan East Stake Center at 1450 East 1500 North. Viewings will be held in the same location, Sunday from 5-8 p.m. and Monday from 9-10:30 a.m.
Conrad died on the morning of February 20, after accidentally falling from the roof of his apartment building. He was serving in the Dominican Republic Santo Domingo East Mission. According to Conrad’s Spanish speaking companion, Conrad had gone onto the roof of the building with a bucket to look for water. While up there, he had contact with an electric cable that is believed to have caused his fall. Conrad had been serving as a missionary since August 2018. He was the youngest son in his family and left barely a month after his birthday. Prior to leaving, he graduated from Green Canyon High School, where he played on the lacrosse team. Funeral services and burial arrangements are being covered by the church. They had been delayed, while leaders arranged for Conrad’s body to be transferred back to Utah. 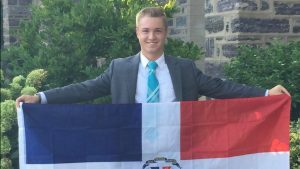 Bret G. Smith, President of the Santo Domingo East Mission, said Conrad was an excellent example of what it meant to be a missionary. He had recently been appointed as a district leader, which allowed him to lead six missionaries under his charge with his partner. A GoFundMe campaign has been set up for the Conrad family, for those wishing to donate: gofundme.com/in-memory-of-elder-brennan-conrad. It has already raised more than $12,000.